See that log cabin mansion? 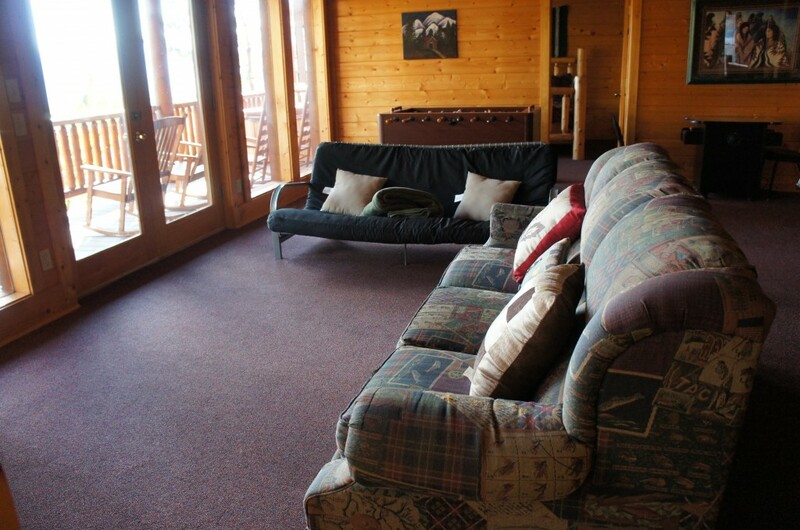 It’s called the Mountaintop Lodge and is available for rent through Cabin Fever Vacation Rentals! 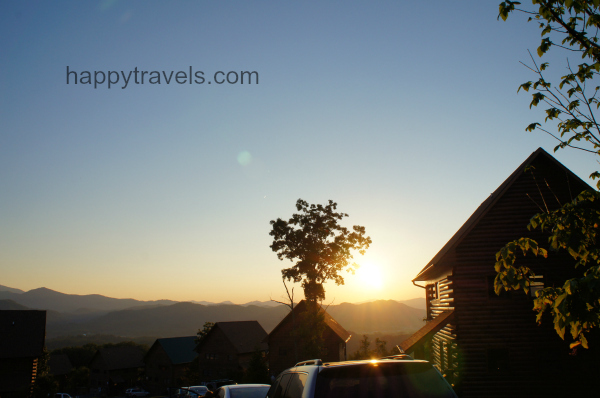 I stayed there with 33 other fabulous blogging friends in Pigeon Forge, Tennessee as part of Brandcation: Blog Cabin…and it was every bit as nice in person as it in the photo! Our cabin was incredibly beautiful! It was decorated with a cabin theme (perfectly fitting), had state of the art electronics, a fully functional kitchen and comfy beds to sleep in. It really was a real home away from home! 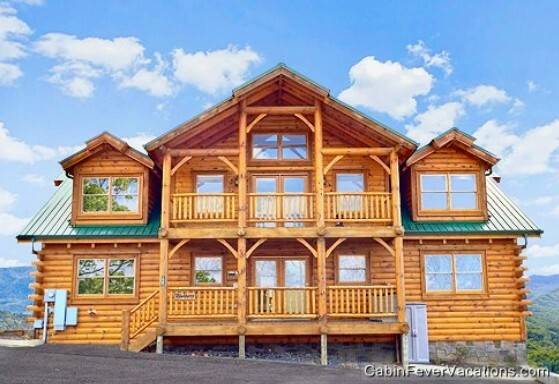 Of course you don’t have to rent a 34 person cabin – Cabin Fever Vacations have many vacation rentals for all sizes of families! 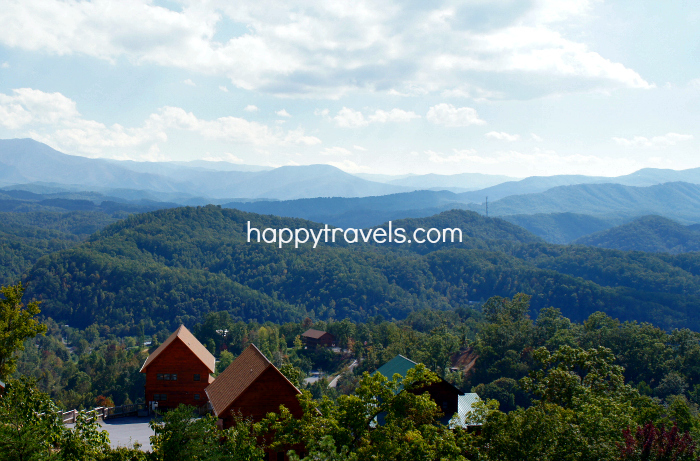 So, what are the benefits of renting a vacation home instead of renting a hotel room during your stay in the Pigeon Forge area? Well, for one, look at the location! Most vacation rentals are in very desirable locations, and you will have views that you don’t have access to in a hotel on the strip, so to speak. You can save a great deal of money in food costs by renting a vacation home, as you can cook every meal in the fully-functioning kitchen if you wish! You can even barbecue on the patio with most of the homes we saw around Cabin Fever Vacations! There’s also something to be said for having a little space at the end of a day of sight seeing. No tiny hotel room, no kids screaming at the pool outside your window…you have space, privacy and you don’t have to worry about competing with 100 other people in hotel rooms near you for the hotel wifi – that’s right, our cabin also had wifi! 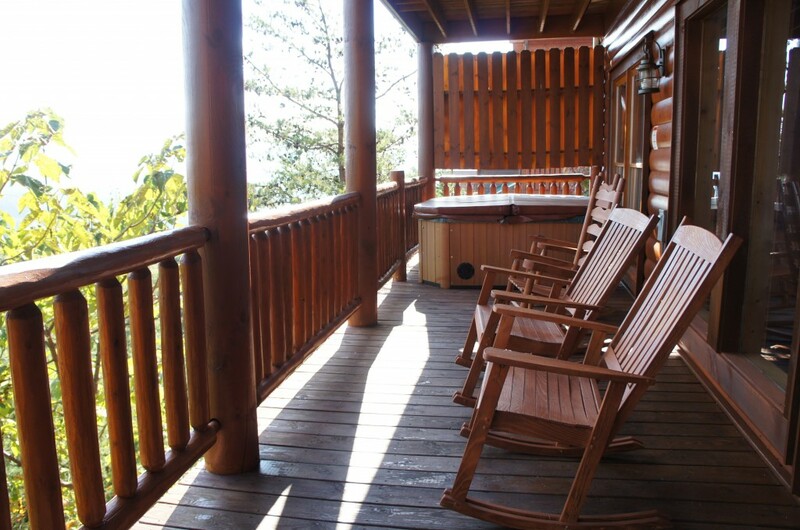 My favorite part of our vacation home rental from Cabin Fever Vacations was the back porch – it was a balcony overlooking the Smokies – complete with swinging bench and rocking chairs! Oh…and hot tubs!! While each home is different, ours had a top floor with bedrooms and bathrooms, then a middle floor with a living room, dining room, kitchen and two bedrooms and bathrooms, then a basement with four bedrooms, two bathrooms, a TV and sofa and a game room! You can find out more about the offerings at Cabin Fever Vacation Rentals on their website!